He or she is holding perfectly still here. About half as big as a scrawny smallish cat. 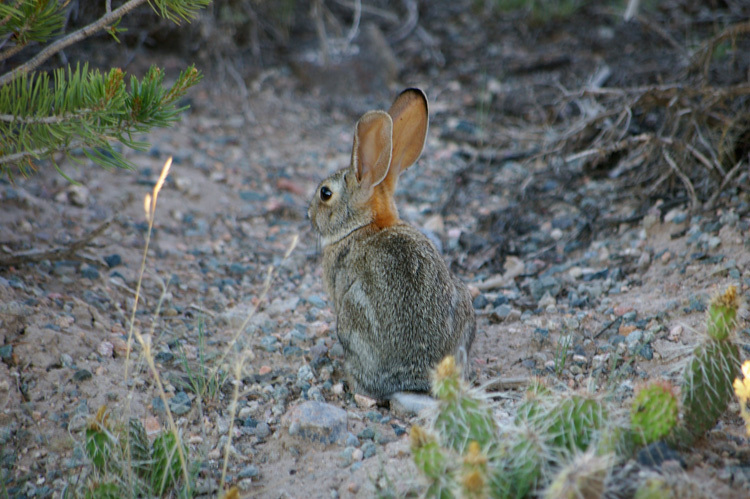 We like jackrabbits!